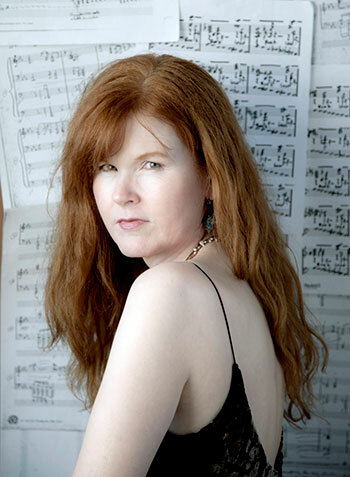 On the occasion of being named a 2018 New Music Champion by the American Composers Forum, Sarah Cahill—who was recently called “a sterling pianist and an intrepid illuminator of the classical avant-garde” by The New York Times and “a brilliant and charismatic advocate for modern and contemporary composers” by Time Out New York—performs a program of pieces she has commissioned or have been otherwise dedicated to her, including music by John Adams, Terry Riley, Pauline Oliveros, Meredith Monk, Ingram Marshall, Annea Lockwood, Phil Kline, and Samuel Adams. Sarah Cahill’s discography includes over twenty albums on the New Albion, CRI, New World, Tzadik, Albany, Innova, Cold Blue, Other Minds, Pinna, and Irritable Hedgehog labels. Her 2013 release A Sweeter Music (Other Minds) features musical reflections on war which she commissioned from composer-activists. In 2015, Pinna Records released her two-CD set of Mamoru Fujieda’s Patterns of Plants, a fusion of nature and technology created by identifying the musical patterns in the electrical impulses of plants. Cahill’s four-CD box set, Eighty Trips Around the Sun: Music by and for Terry Riley, was released in 2017 on the Irritable Hedgehog label and features Riley’s solo and four-hand works (with Regina Myers and Samuel Carl Adams) and eight world premiere recordings of commissioned works in honor of his 80th birthday.